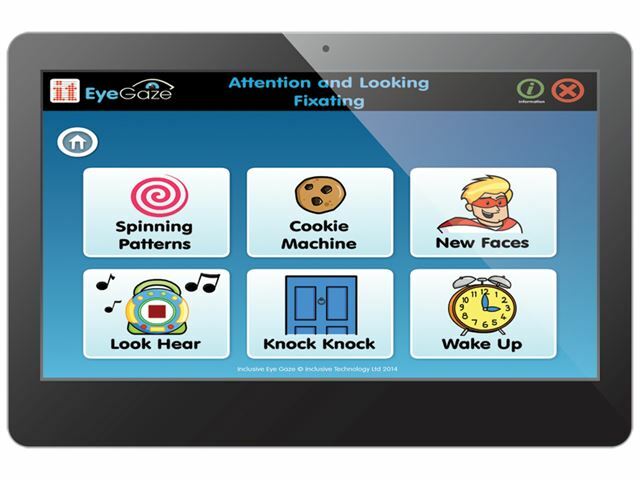 All in One EyeGaze Education is designed to offer an affordable package to meet the needs of the special needs classroom. It provides all you need to get started using eye gaze as an access, assessment & teaching tool in your classroom or therapy setting, including all three of our Inclusive EyeGaze Learning Curve software titles. Please note: code 9311 is available to customers in the UK and Ireland only. Delivery charge is £17.00 per bundle. 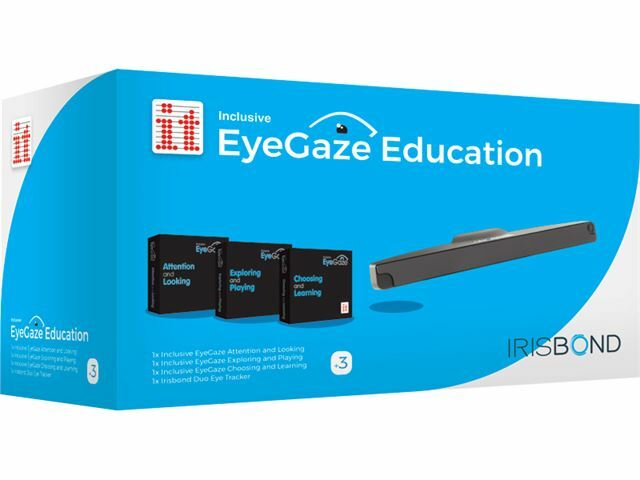 All in One EyeGaze Education including the Irisbond Duo Eye Tracker and Inclusive Learning Curve software provides an extensive range of eye gaze activities designed to address a progression of skills; from early Sensory and Tracking, through Cause and Effect and Exploring to Communication and Learning. With engaging graphics, animations and sounds and fun feedback and rewards, Inclusive All in One EyeGaze Education is a hit with students and staff alike. You can now buy this fantastic bundle with a robust stand and either an All in One Touch PC or Touch Monitor. A specifically designed mounting system that is strong, flexible, robust and portable to meet all your positioning needs. 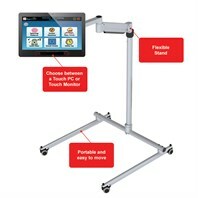 The mounting system gives you the most flexible positioning available, with easy adjust engineering for height and angles, you can use eye gaze standing, sitting or lying down. Quality castors ensure that the whole system can be easily moved from room to room. Max height: 120cm, Max weight: 6-13kg. Please note: base width is 110cm, the maximum height achievable for this stand is 120cm. If you require a mounting system which offers a higher height, please contact us to request a quotation for separate items. 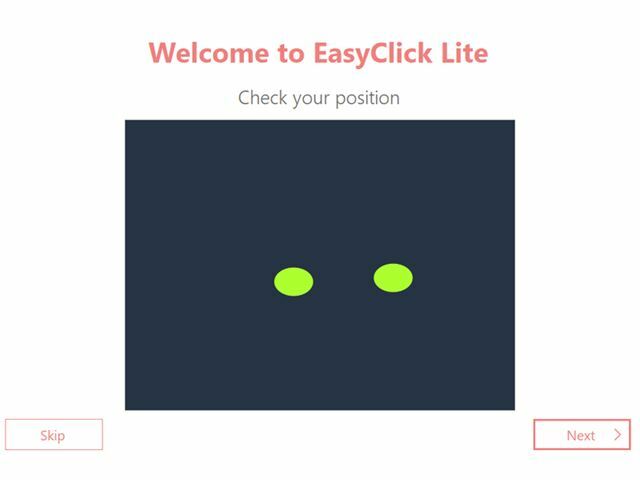 An intuitive and easy to use eye tracker, requiring little or no training, and is great for those new to eye gaze. It engages students with a range of abilities and preferences and tracks where they are looking on screen, and turns that into computer access. Robust, easy to use, portable and intuitive. Can be used on any Windows device with a 10”-24” screen. Works with all eye colours and adapts well to most lighting conditions. A convenient and versatile All in One Touch PC to play all your favourite software with a great screen size for eye gazing, combining performance and robustness with a modern and compact design, the All in One PC is a desktop computer with touch screen supplied with Windows 10 Pro. Or choose a robust 22” Touch Monitor to use with your own laptop placed safely on the specially designed laptop shelf on the mounting system. 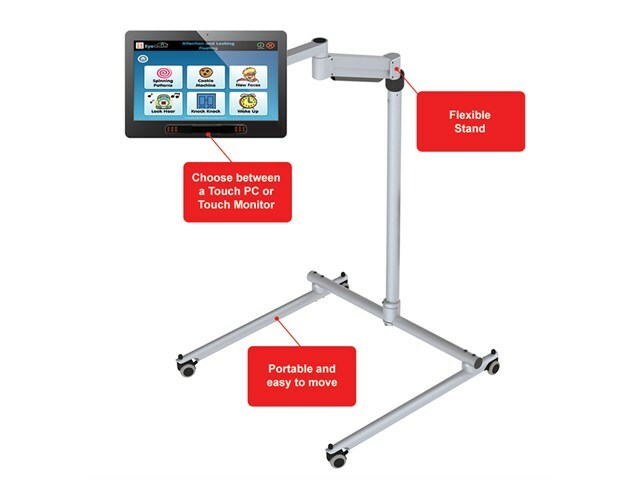 With high definition and fast touch response including multi-touch the 22” Touch Monitor gives the quick and accurate response needed for pupils with special needs. 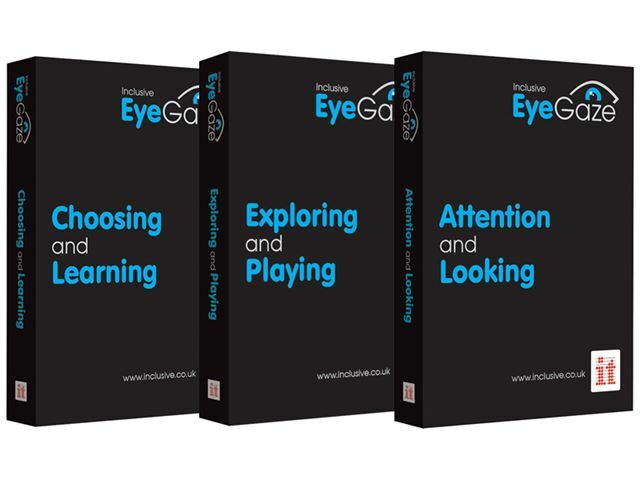 A unique software package that can help you assess, teach and stimulate early eye gaze and looking skills. 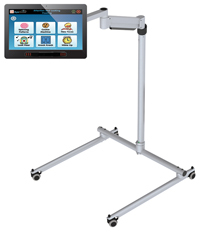 Suitable for all students on their first steps with eye gaze and appropriate for users with additional needs. These 18 fun and meaningful are carefully graded and designed to assess and teach attention and looking skills, simple access skills and understanding of eye gaze. Assess and improve your targeting and access skills and progress from cause and effect to early choice making. All activities have a cognitive or decision making element to choosing with multiple targets. We, Inclusive Technology Ltd, can supply the Touch PC to customers in the UK and Ireland only, where this product has a 28 day returns policy. To purchase the Touch PC in all other countries please contact your local reseller. Warranties: UK customers receive a 3 year on-site warranty. Customers in Ireland receive a 3 year Return to Base warranty and we request that packaging is kept in case of return. Software titles are downloadable and delivered via email within 2-3 days of ordering. The laptop shelf comes supplied with the All in One EyeGaze Education Touch Monitor option only (laptop not included). Delivery charge is £17.00 per bundle.